Looking at the work of A.M. Cassandre, one can remember this very famous quote. Whether it is posters, logos or magazine covers. 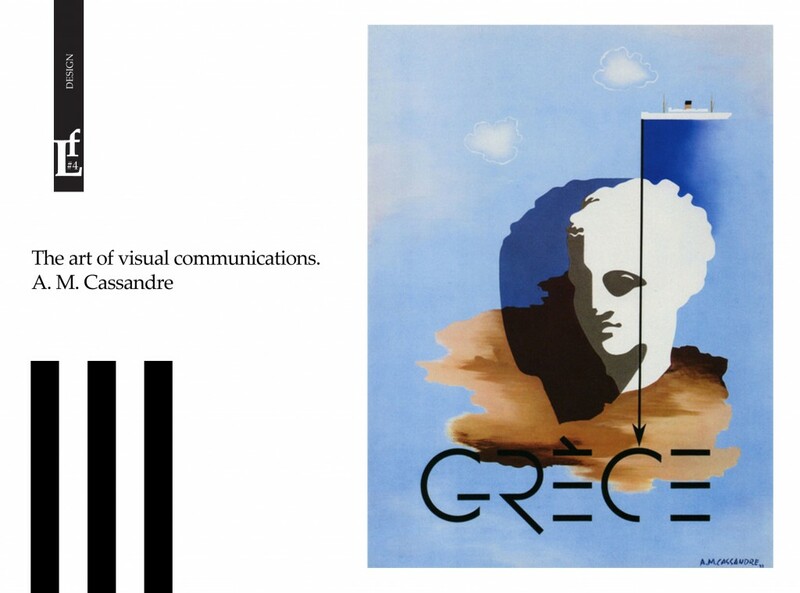 Is it possible to be more precise about the perfect composition, the color scheme, the typography, which carries a message not only informative, but also is a full decorative element of the artwork A.M. Cassandre. Cassandre, pseudonym of Adolphe Jean-Marie Mouron , (1901 – 1968) was French painter graphic designer who had, and has to this day influence on creative people. Max Ernst and Pablo Picasso thought he was an innovator in the genre of the poster. And he was in turn found inspiration in their works. For the first time he said loudly about himself, when his poster entitled «Sawyer» in 1925 won first prize at the famous International Exhibition of Modern Decorative and Industrial Arts in Paris. 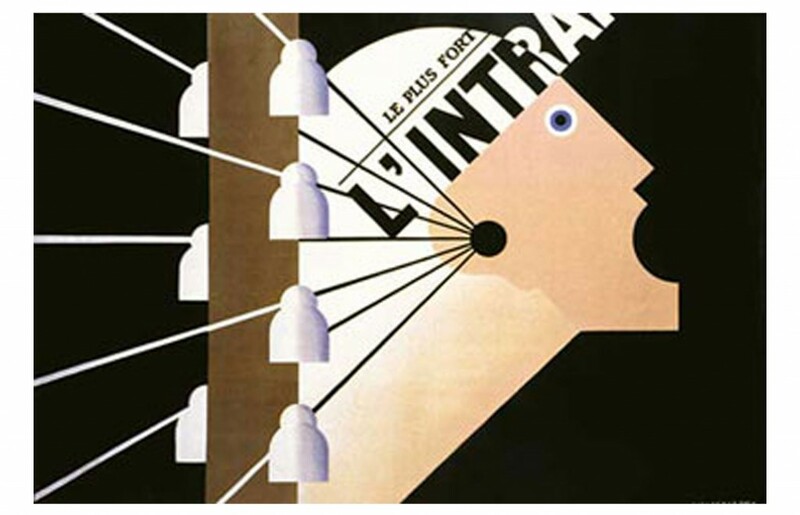 Like all outstanding graphic designers Cassandre had a great sense of composition. The images are simple, but this is their strength. He himself believed: «Poster work demands of the painter complete renunciation. He cannot express himself that way; even if he could, he has no right to do so. Painting is a self-sufficient proposition. Not so the poster. A means, a shortcut between trade and the prospective buyer. A kind of telegraph. The poster artist is an operator; he does not issue a message, he merely passes it on. Not one asks for his opinion. He is only expected to establish a connection—clear, powerful, accurate». Advertising company Dubonnet aperitif entered the history of graphic design as an example of a clear and efficient message via laconic visual image. Triptych tells the story, the first poster outline only the person who pours himself a drink. He was tired, lost, just pale trace of himself, then on the second poster he drinks from a glass and half he finds himself third image shows a man already completely finished colorful image. A man full of energy and ready for all their business. The name of the drink was also appearing as from the outline of the poster, from a stroke of letters, then half- filled with paint, and to the full name. The slogan of the campaign was Dubo, dubon, dubonnet. The idea is simple but effective, his images are dynamic, full of movement. A series of posters on advertising Northern Express are full of striving forward movement, sharp perspective, sparks from the wheels of race and even the letters try to resist wind gusts as the inscription on this poster. The last letters of the word Express S S are first that dissect the air and letter X is shown as a arrow push the rest of the word forward. No need to use more graphic elements to feel the speed of the train and hear the sound of wheels. 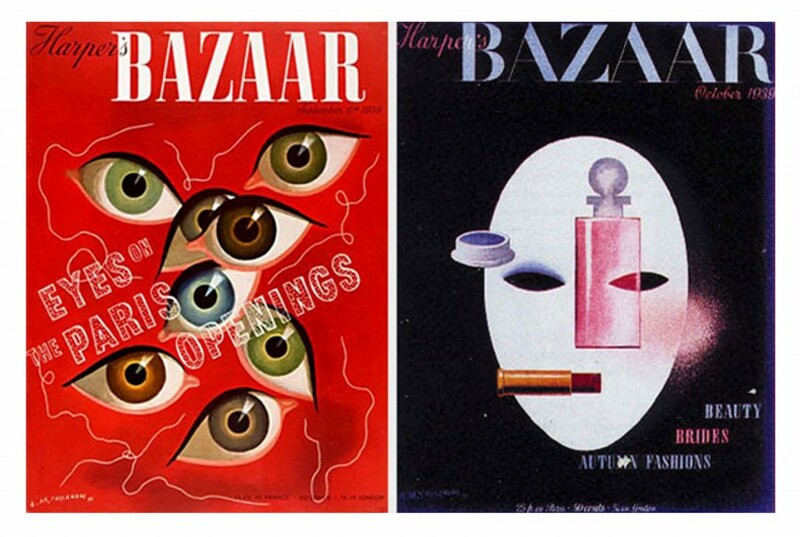 Covers for Harper Bazaar are decorative but again laconic and reflect the idea of the fashion publication. 1930s were for one of the artist’s productive periods. 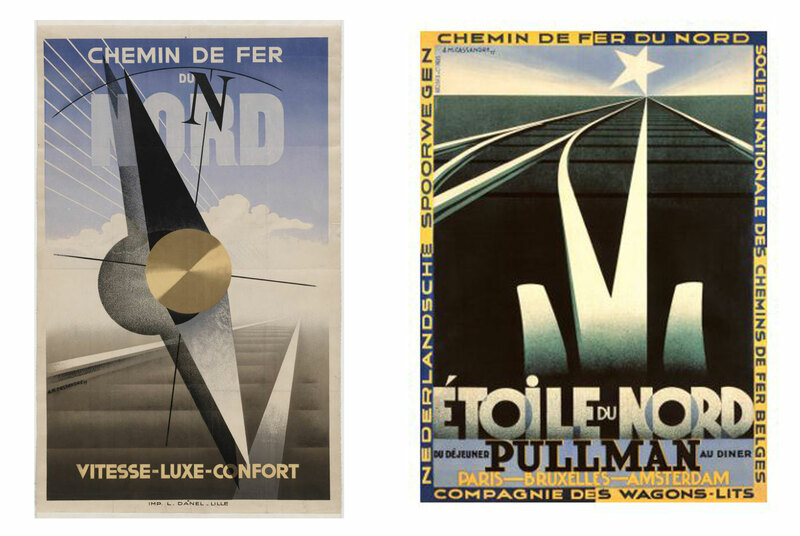 He didn’t only work on the posters, but also created a few fonts: in 1929 – Bifur, in 1936 – Acier Noir, in 1937 – Peignot, in 1947 – Touraine with Charles Peignot. In addition to working at the agency, Cassandre taught graphic design at the School of Applied Arts (École des Arts Décoratifs), and then at the School of Graphic Design (École d’Art Graphique) in Paris. He had also done covers for famous American magazine Harper’s Bazaar, and in 1936 they were presented at the exhibition at the Museum of Modern Art in New York (MoMA). 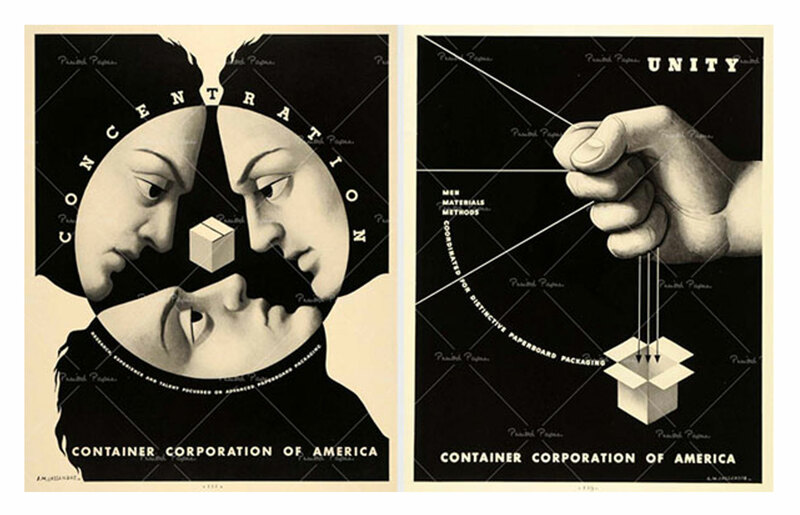 In addition to graphic design Cassandre engaged in the creation of sketches for theater scenery and costumes. In 1950 it held a large exhibition of his work at the Museum of Decorative Arts in Paris. 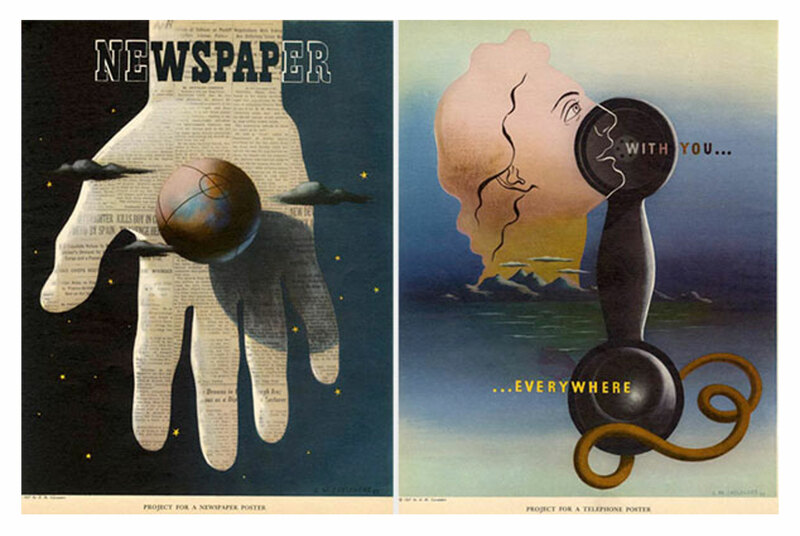 But the main vocation Cassandra was always a graphic design, and soon he returned to the genre, continuing to create advertising illustrations, posters, covers and layouts for periodicals and more. The designer created a lot of work for a variety of customers around the world: the famous fashion houses, music and drama theaters, publishing houses. One of his most famous work was the development of a logo for the fashion house Yves Saint Laurent. 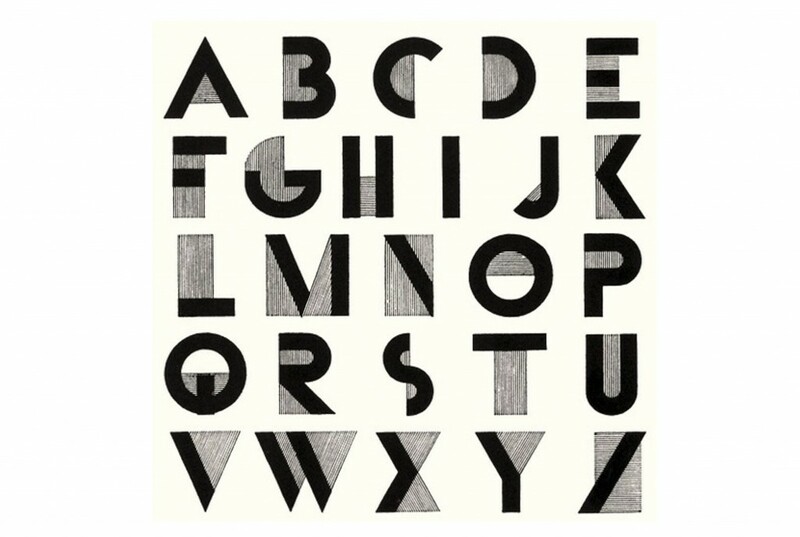 This elegant typographic work and admired to this day. Before the advent of digital technologies artists and designers worked by hand and, in addition to the creative imagination, had high drawing skill. What can now be done in a few computer mouse clicks, it took no little time then. In our days designers can liberated from such a routine and solely on to focus on the creative process. But there is another side, something that is made by hands, inaccuracies may have roughness, the specific manner of stroke, that is what determines the style of each artist and makes the product unique. 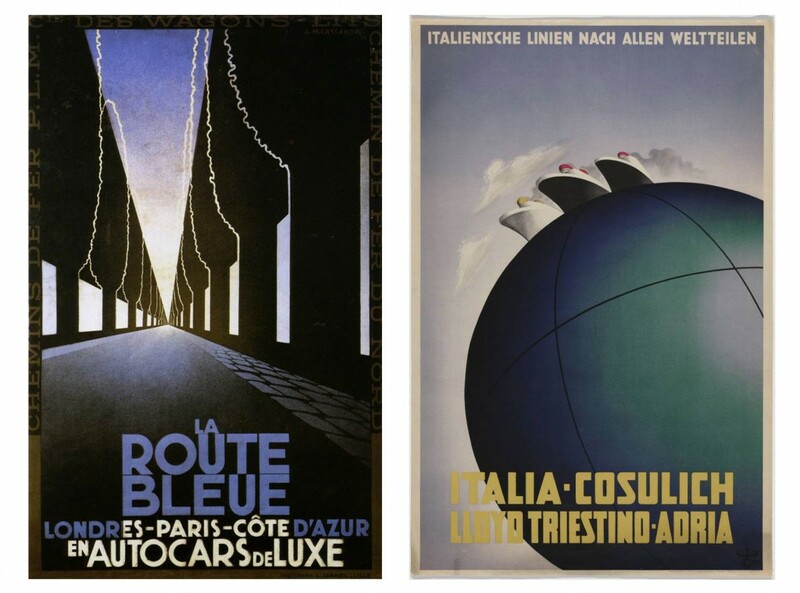 A. M. Cassandre was artist, designer, illustrator. it seems he joined in his creativity all three areas, and each raised to a high level, received the recognition of contemporaries and became a source of inspiration for other generations.